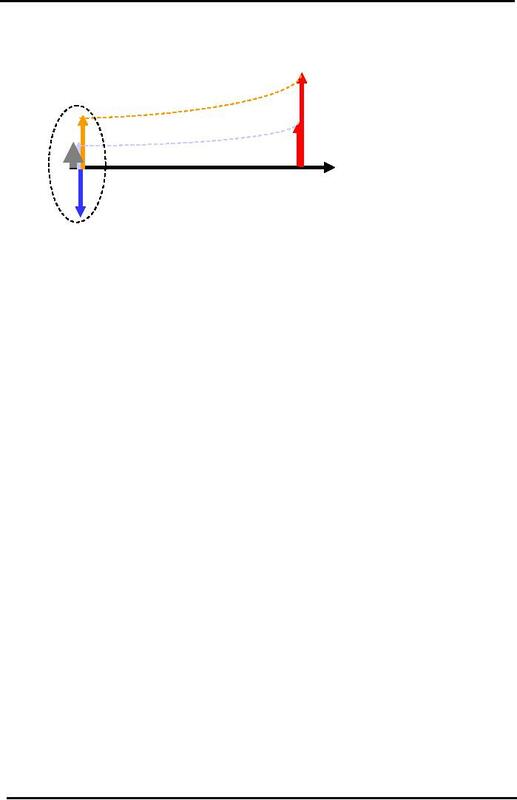 NPV = -Io + CFt / (1+i)t = -Io + CF1/(1+i) + CF2/(1+i) 2 + CF` /(1+i) 3 +..
we call that the NPV. Hence, there is a direct link between NPV and future cash flows. the company implies increase in shareholders' wealth. is a positive cash flow and must be discounted back to the present just like any other future cash flow). upward pointing arrows (1. profit 2.return of initial investment) show the cash inflows. Now let us talk about the Internal Rate of Return or IRR. trial & error method. We talk about the interpretation of IRR in the coming lectures. CFt / (1+IRR)t = -Io + CF1/(1+IRR) + CF2/(1+IRR) 2 + .. The value of i where NPV is zero is the value of IRR. interpretation of i between NPV and IRR. IRR project, we do not externally specify the interest rate but we calculated it from the cash flows. an important difference to keep in mind between NPV & IRR. this time, we will not assume any value for "i" as we had done in the NPV calculation. We set the NPV = 0 and solve the equation for "i" (or IRR). We add Rs 12,000 & Rs 10,000 as both appearing at the same time. sloping line. The point where the NPV is zero would be the IRR for the project. 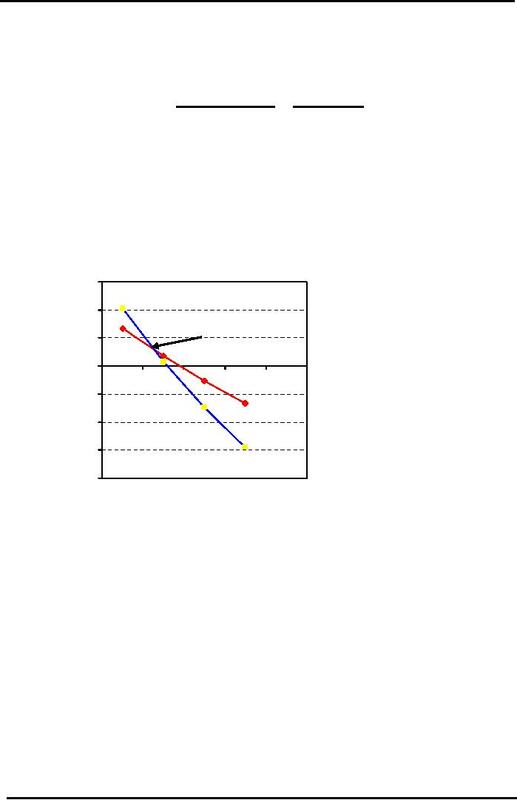 line cuts the horizontal x-axis would be reflect the value of the IRR. 1. The investment or project life is longer than 2 years. time consuming to solve algebraically in terms of "i". different investments are to the discount rate "i"
investment, which project is the best to invest in. one you cannot choose another. compounded annually for two years. NPV and IRR only for the Bank deposit rate. 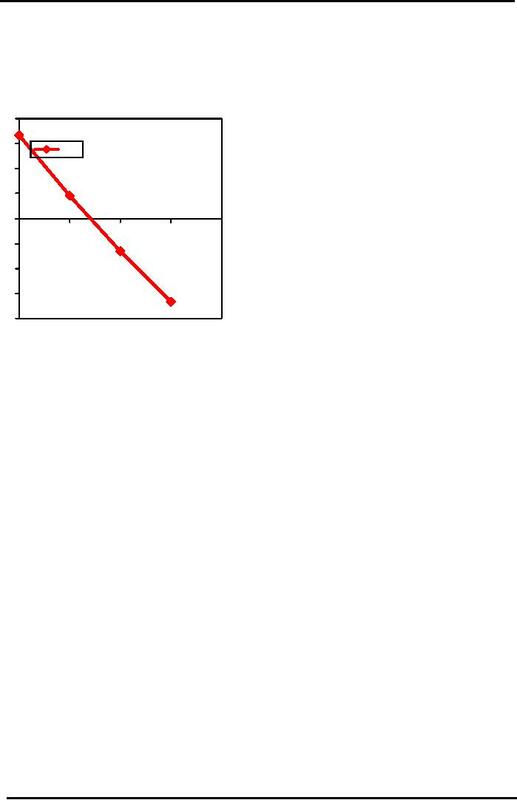 exponentially with time so NPV graph falls much faster. The IRR at this Point is 8.8%. When IRR is less than 8.8% (Cross-over IRR) then the NPV of Bank Deposit is higher! IRR Interpretation - How high is high. Recall our discussion from earlier lecture on Interest Rates and Money Markets. not very good. We will talk more about this after we study RISK. that matches or exceeds the returns of the existing business is worth considering. the IRR takes into account the cash flows rather than the accounting profit in the calculations. would be further discussed in Capital Structure determination.